The Department of Communicative Sciences and Disorders at Hampton University was the first degree-granting program at an Historically Black University. The Department was founded by Dr. Robert Martin Screen just one year after his 1953 graduation from Hampton Institute. Dr. Screen led a program celebrated for successfully training more African American Speech Pathologists than any other university in the country. 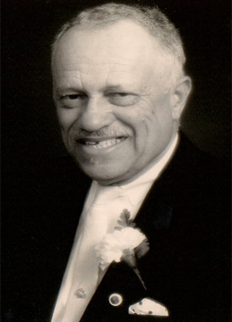 A pioneer in his field, Dr. Screen established a standard of excellence that paved the way for young professionals to work in the fields of Audiology, Speech-Language Pathology, Special Education and Medicine in diverse communities using culturally competent practices that are evidence-based. Dr. Screen, an ASHA Fellow, received many accolades including the Pioneer Award from the National Black Association for Speech- Language and Hearing in 1998 and Honors of the Association from the American Speech-Language and Hearing Association (ASHA) in 2001. Dr. Screen served as Chairman of the Department while simultaneously building an internationally acclaimed tennis program. He was regarded as the first college tennis coach to recruit top talent internationally, a practice that is now commonplace. Dr. Screen served at the helm of HU's Men's and Women's Tennis programs for four decades, accumulating 37 conference championships held in the MEAC, CIAA and NCAA. He had 1,068 career victories making him the winningest, tennis coach in NCAA Division I history. He remains the only African American coach to win an NCAA national tennis championship. Dr. Screen was an inaugural inductee into the Hampton University Athletics Hall of Fame in 2009 and was inducted into the Black Tennis Hall of Fame in 2011. Dr. Screen's diligent service and contributions were recognized by the University when his name was added to the tennis stadium. The "Neilson/Screen Stadium" is named on behalf of Dr. Screen and Coach Neilson who coached Dr. Screen during his collegiate career. Dr. Screen stepped down as Chair of the Department of Communicative Sciences and Disorders in 2010 after fifty years of academic leadership. Dr. Robert Martin Screen was a pioneer, devoted alumnus, member of Omega Psi Phi Fraternity Inc. and iconic coach who will be remembered for his legacy of firsts. His life touched the students and athletes he personally mentored and, as a result, they continue his legacy today.